UFO snapped over Thames (The Sun)…mmmm..NO. It seems a feature of the Sun, to write any old rubbish about UFOs, and again, they do not disappoint me! In “UFO snapped over thames” (posted 28th february,2008) they have two photos; one of the london eye, and the other of london bridge, which a student, low and behold took photos of, who did not notice until she looked at them again….and found a ufo in each photo. They claim that experts say it is the real deal……. ok, before i sound like a broken record, i can safely say that this is total rubbish i’m afraid….although i did have a good giggle at it (but the ufo subject does take a bashing due to these type articles in a mainstream tabloid newspaper). A quick glance at both photos for instance, and wouldn’t you know the UFO in both photos are almost at the same angle and size. Also, its quite clearly a reflection from the inside of a car. So, more like a bridge too far, and an eye-ful of nothing. I have not read it yet, but will be reading it soon..
“STORIES in the Citizen about strange lights and possible UFO sightings have prompted a flood of response. Readers have been in sending in their experiences and thousands have checked out articles on the Citizen website” (extract from article). It goes on to report Mr Chapmans sightings, which started on 9th feb,2008. He says “”From the ground all you could see was a pulsating light. It was so high up that it looked no bigger than a star. “”When I looked at the light with my binoculars, I could see a red and blue flashing light and a constant light which, even with the binoculars, still looked like a star. The object in the sky from 5.30pm to 12am was in different positions. Each time I saw it but I never saw it move. 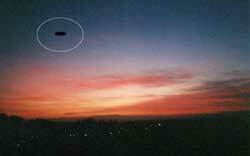 “On Sunday, February 10, there were three objects all the same as the one the previous night. “They disappeared one-by-one over the course of the night” (extract from article). It then goes on to briefly mention two other witnesses. Differcult to know what to think about these sightings, but will monitor for anymore updates. What do you think? is something going on? is it all hype, are chinese lanterns involved! Russia to build £3m UFO centre… tourism gone mad? “Now officials want to cash in on the fame with a centre that will include a museum and theme park. It will include an observatory for people to scan the skies for UFOs, a special trail along sites of supposed UFO sightings, as well as displays and even equipment like infra-red cameras that can be rented by UFO spotters to catch aliens on film” (extract from article). I just find this a bit sad, as it seems people are jumping on the band wagon, for tourism exploitation, and so on. I have no objection to a bit of marketing, but this seems way over the top and cheesy. However, i feel the Roswell festival is a good idea, but this is slightly different, as it not all year round. I dread to think what else might be added to this ‘ufo centre’. “THEY never seem to show up on civil aviation or military radar, and Cypriot pilots say they have not seen any. 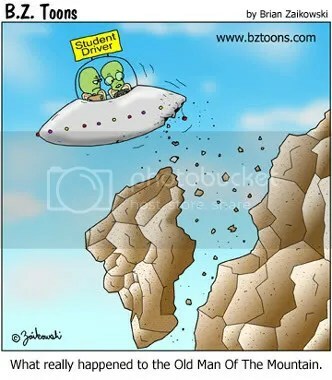 Yet Cyprus appears to be a hotbed of UFO activity given the number of sightings reported by members of the public. The latest incident was some two weeks ago over Pervolia near Larnaca, which happens to be near the airport and close enough to the British base of Dhekelia” (extract from article). It then goes on to recount other sightings too… not sure of the accuracy, and it seems to like to quote from UFO monthly magazine (that was, was known to over do articles/facts). Worth a blog entry though. I do not know much about UFO sightings in Cyprus, to be honest. I came across this interesting report, that is available for public release/viewing. 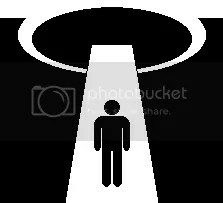 From the Defense Technical Information Centre (DTIC), a report written in 1968, was entitled “UFOs: What to Do?”. “UFOs — unidentified flying objects, or flying saucers as they are often called — have been on the mind of the public for at least the last 22 years. For a number of reasons, we know little more about them now than we did at the outset. There exists a great amount of misinformation about the phenomenon not only in the minds of the public, but among educated groups such as scientists as well. It is the purpose of this series of essays to describe various aspects of the phenomenon, make clear my prejudices and the reasons for them, and to suggest a means of proceeding on this interesting and potentially very significant problem. But first, a few words about the term UFO. J. A. Hynek, an astronomer having continuous involvement with UFO study for over 20 years, defines UFOs as ‘any reported aerial or surface visual sighting or radar return which remains unexplained by conventional means even after examination by competent persons. This definition…specifies neither flying nor objects. '(1) I would agree, but would prefer to replace ‘or radar return’ with ‘or instrumental observation’ and ‘even after examination by competent persons’ to ‘even after competent examination by qualified persons.’ This, then, is the definition I have adopted in the five essays that follow” (extract from article). Introduction, UFOs: Historical aspects, UFOs: astronomical aspects, UFOs:The character of reports, UFOs: Phenomenological aspects, UFOs: how to proceed and why, a report form, Bibliography. Even though it was written in 1968, it has some great information….